Shabbat From Friday Sundown To Saturday Sundown. 1. 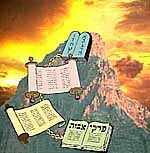 G-d created the world in six "days" and "rested" on the seventh "day." 2. G-d intervened in history to take the Jewish People out of the bodage of slavery in Egypt. 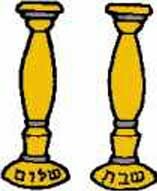 All else of Shabbat law: perhaps, in a sense, all of Torah law as well, and understanding of the Jewish soul, follow from the avobe premises. Work Restrictions: Thirty-nine Biblical categories of "melachah" very loosly defined as "work," and Rabbinical extensions. Celebration of the rededication of the Second Temple in Jerusalem to holy services by the Maccabees after their successful struggle for the independence and religious freedom against the Syrians (2nd century B.C.E.). Commemorated by lighting candles during each night.It is a tradition for the children to rejoice in the playing with the Dreidle and the eating of Latkes (Potato pancakes) with lots of sugar). As a custom this is a holiday to be spent in family as each member of the family is supposed to light of the candles each night in order of hierarchy. Work Restrictions: Tradition limits work only during the time that the Chanukah candles are lit. Fast day that begins at the first light and ends at dusk. 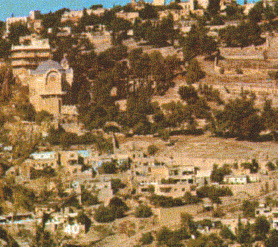 Commemorates the beginning of the Babylonian siege of Jerusalem (Early 6th century B.C.E.). In the modern State of Israel, Kadish (the jewish prayer for the deceased)is recited on this day for people whose date or place of death is unknown. Consequently, many rabbis have designated it as the day of remembrance for the Holocaust. Celebration of new fruits and the land of Israel. No eulogies or daily prayers of mourning said. 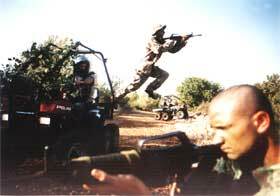 Some add special services. Work Restrictions: No restrictions on work. "When Adar comes, joy increases" mainly because of the presence in the month of Purim, the festival created by the Jewish People to commemorate their salvation by G-d. The Master of the "Hidden Miracle" used coincidence and "fortuitous" timing, plus the "assistance" of Esther and Mordechai, to overthrow Haman, a high government official in ancient Persia. "He would have murdered all the Jews, though they were not to blame, sir!" (from children's Purim song). Fast begins at first morning light. Commemorates the fast of Queen Esther in order to save the Jewish people of ancient Persia (Late 6th century B.C.E. ), and the subsequent victory of the Jewish people over their enemies. Commemorates the rescue of the Jewish people in ancient Persia (Late 6th century B.C.E.). Celebrated with feasts, special prayers, reading of the Book of Esther, the sending of gifts from fried to friend, and extra charity. Work Restrictions: Limited restrictions on work. Purim in the cities sorounded by walls in the days of Joshua, such as Jerusalem. "Hashem said to Moses and Aaron in the land of Egypt, 'This month shall be for you he beginning of the months; it shall be for you the first of the months of the year. '"(Exodus, 12:1-2) Nisan is the Month of Redemption, because it is the month in which the Exodus took place around 3,300 B.C.E., at which time the Jewish People were redeemed from Slavery in Egypt. This event, in which the Bible records (Exodus, 1-15) G-d's intervention in human history in behalf of the oppressed Children of Israel, constituted the physical birth of the Jewish Nation. 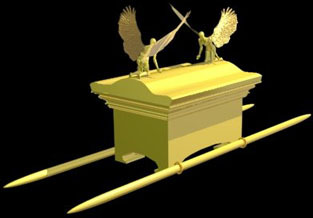 Commemorates the Exodus of the Jewish people from ancient Egypt. Special dietary restrictions beginning the morning of the morning of thwe previous day. No foods containing fermented grain products - Chametz - may be consumed or found in any Jewish household. 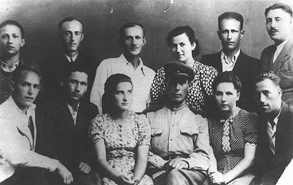 Special Family meal - the "Seder" conducted during the first evening in Israel and the first 2 evenings in the Diaspora. 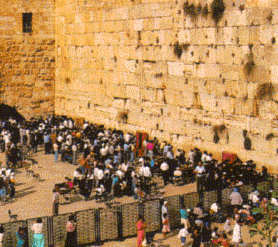 Memorial (Yizkor) services are said on the 7th day in Israel and 8th day in Diaspora. Work Restrictions: Israel: Sabbath like restrictions on the first and last days (15 & 21 Nisan). Non-essential work activities or crafts prohibited during other days. Diaspora: Sabbath like restrictions on the first 2 and last 2 days (15&16 & 21&22 Nisan). Non-essential work activities or crafts prohibited during other days. Special memorial prayers are said. This Rosh Chodesh always consists of two days, because Nisan, which preceeds Iyar, is always "full," that is, it always consists of thirty days, and the first day of Rosh Chodesh Iyar is 30 Nisan. This month, always "diminished: that is, comprised of of twenty-nine days, never the less contains the bulk of the forty-nine Sefirat HaOmer days. It also contains the special days listed below, adopted by the ancient tradition or by traditions adopted our People in responce to the events in our time. It is intimately related, as well, with the special day which occurs at the end of Nisan. These days, at the end of Nisan and Iyar, are days of inmense sadness and joy. Many add special thanksgiving prayers and celebratory feast. Break in the mourning period for the 24,000 students of Rabbi Akiva (2nd century). Only day in 49 day period when weddings permitted. "In the third month after the Exodus of the Jewish People from Egypt, on that very day, they came to the Desert of Sinai" (Exodus 19:1) Jewish Tradition says that "that very day" refers to Rosh Chodesh Sivan. This Rosh Chodesh always consists of just one day because Iyar, the preceding month is always categorized, calendar wise, as "missing," that is, it consists of just twenty-nine days. Sivan itself, however, is always "full," that is, it always consists of the full complement of thirty days. 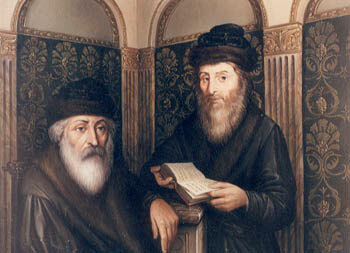 This month has the great priviledge of being the month in which the People of Israel recieved the Torah at the foot of Mount Sinai, perhaps the greatest event in the History of the Jewish People and of the World History, which is commemorated on the Festival of Shavuot, the "Day of the Giving of the Torah." Rosh Chodesh Tammuz is always two days, because the preceding month, Sivan, is always "malei," or "full;" that is, always contains 30 days. This first day of Rosh Chodesh Tammuz is the 30th day of Sivan, and the second days of Rosh Chodesh Tammuz is the first of Tammuz. This month is always "chaser," or "diminished," that is, it always contains only 29 days. Therefore, the Rosh chodesh of the following month, Av, is just one day, the first of Av. 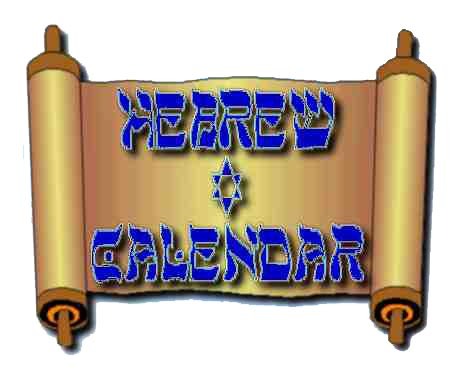 This month Tammuz, followed by Av, contain the three week period known as " Bein-Ha-Metzarim," "in the straits" of trouble between the Jewish People and G-d. Many tragedies occured in this month, which led to still greater tragedies in the next month. But our hope and belief is that ultimately, this will become a time of joy and redemption for the Jewish People. Work Restrictions: No restricitions on work. Rosh Chodesh Av is always just one day, because the preceding month, Tammuz, is always "chaser," diminished; that is, it only contains twenty-nine days. The month of Av, on the other hand, is always "malei," full; that is, it always contains thirty days. "Chodesh Av," the Month of Av, contains the saddest day in the Hebrew Calendar, the Ninth of Av, a day in which too many tragedies have befallen our People for just to be an accident. In Megillat Eichah, the Prophet Jeremiah's lamentation over the destruction of Jerusalem, its Temple and its People, this day is called a "Moed" in the sense of a day marked for tragedy. Fast begins prior to sunset and comcludes at sunset of next day. 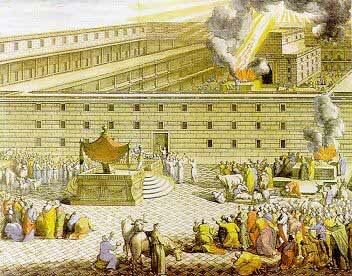 Anniversary of the destruction of both the First and Second Temple in Jerusalem, and the other Jewish tragedies. Climax of three week period mourning period and, within those weeks, of a more intense nine day mourning period. Special mourning customs and prayers. The month of repetance and personal reflection. The Jewish New Year Day of Judgement the entire world. Extended, special synagogue services and blowing of the ram's horn "Shofar." Start of Ten days of Repetance. Fast day, beginning prior to sunset on the previous day. Day long synagogue services, with many special prayers, including Kol Nidre, N'eela, and Memorial(Yizkor) services. Work Restrictions: All Sabbath like work restrictions, with no exceptions for cooking etc. as on Sukkot, Shmini Atzeret, Simchat Torah, Passover and Shavuot, where exceptions are made for food preparation and carrying. In addition, there are special restrictions against washing, applying oils, etc. to oneself, and wearing leather shoes. Commemorates the Jewish people's wandering in the desert. 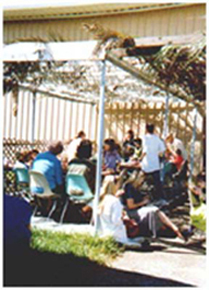 All meals must be eaten in special temporary hut-the "Sukkah." Rituals with four spices of plants - Lulav and Etrog - culminating special services on the seventh day "Hoshana Rabbah." Work Restrictions: Israel: Sabbath like restrictions on the first day. Non-essential work activities or crafts prohibited during other days. 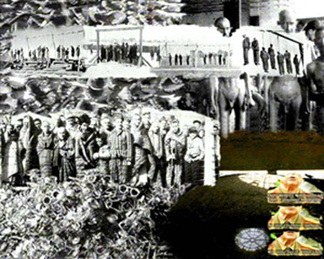 Diaspora: Sabbath like restrictions on the first two days. Non-essential work activities or crafts prohibited during other days. 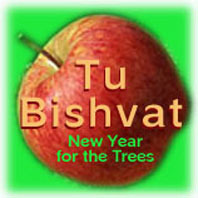 The seventh nd last day of "Sukkot" culminates the observation of the Days of Awe as the day of the inal sealing of judgement, which began on Rosh Hashanah. 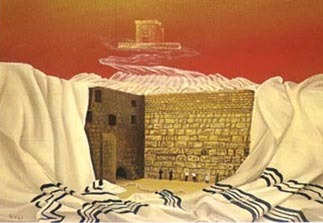 Additional prayers and quest for epentance as on Yom Kippur are said in synagogue. Culminates the celebration of renewal and thanksgiving and invokes our nticipation of the Messianic Age. Memorial (Yizkor) services are said in synagogue. Special celebration of losing of the High Holidays season. Cycle of Biblical readings in synagogue completed and egun again in joyous celebration and festivity. Conbined with Shmini Atzeret in Israel into one day, celebrated as a second of two consecutive days in the Diaspora.